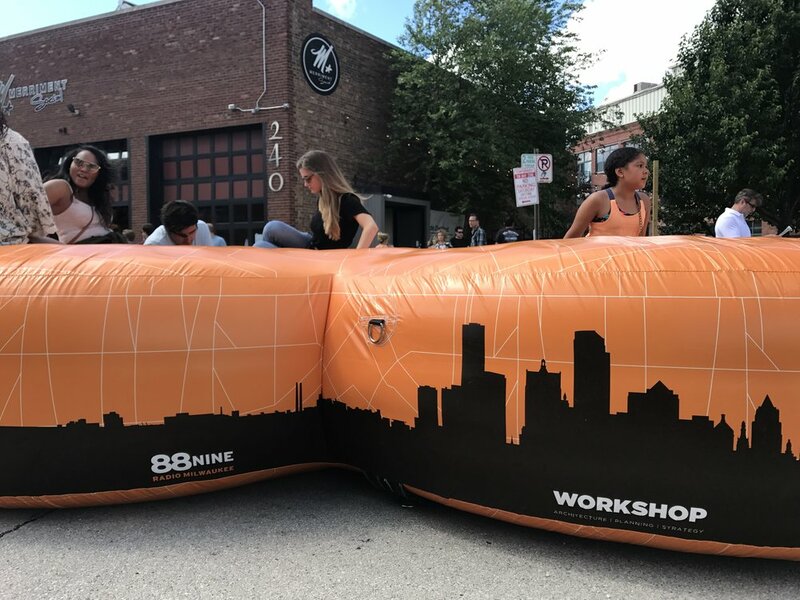 This Summer marks the 10th Anniversary of the founding of 88Nine Radio Milwaukee, our neighbors across the street and our favorite station, who have been doing their best to create a more inclusive and engaged city through music and community stories. To celebrate, the local, commercial-free radio station hosted a block party on the two blocks of Pittsburgh Avenue between our two buildings. 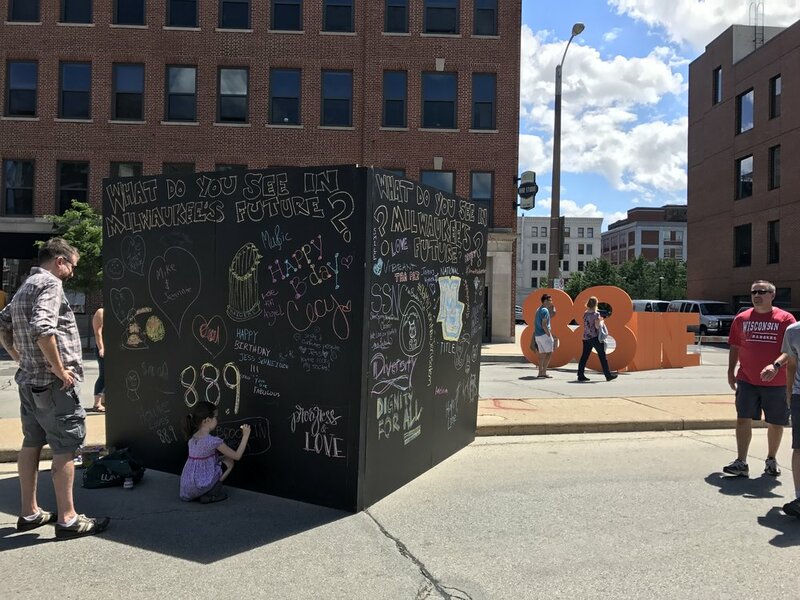 We saw this as an opportunity not only to celebrate with and get to know our Milwaukee and Walker's Point neighbors, but also to exercise our ability to inspire interaction between community members. We challenged ourselves to achieve this using interactive sculpture and inflatable architecture, reformulating a concept from one of our architectural designers' Masters thesis.